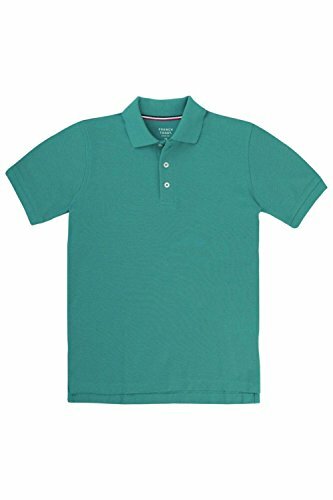 French Toast Little Boys' Short Sleeve Pique Polo, Teal, 4 | What Should I Say? Classic 3-button short sleeve baby pique knit polo with flat knit collar/cuff. Stripe grosgrain neck taping on inside of collar and side vent with a tail bottom. Tag less label.